Everyone knows at least one person who is practically impossible to buy for. 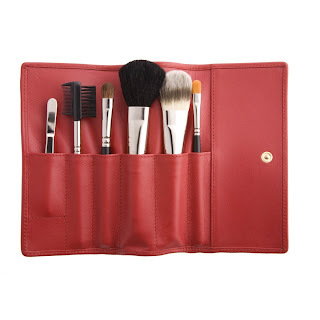 It's hard to go wrong with a washbag or cosmetics purse- they're forever functional and even though the recipient is likely to have one already, it's handy to have a selection of different styles. If you really want to spoil someone, Smythson is suitably luxurious. I'm totally lusting after their brush roll this year. I absolutely adore Lulu Guinness and her quirky designs. Years ago, I used to work for the company and can confirm that the designer herself is as lovely as you'd imagine someone who creates such cute pieces to be. 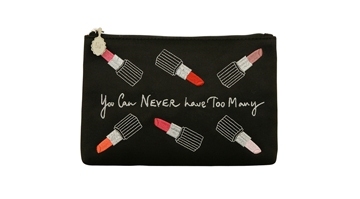 I already own a few pieces by Lulu but next on my wishlist is this Lipstick Top Zip Purse with its rather apt slogan. It's the perfect gift for makeup fans and as British design classic, would make a nice present for those living overseas. I'm a big fan of ZPM's fun prints and practical wipe clean fabrics. Their hanging weekender has five pockets so is sufficiently roomy for essentials and more, making it a good choice for those who "don't do" packing light. 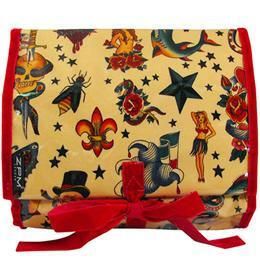 My personal favourite prints are Tattoo, Glamour Gals and Alice Allover.